Issuing invoices is an essential part of your business daily admin. Worrying about how and when you’ll get paid is not. It is important to make sure that you get paid on time and that action is taken if payment deadlines are missed. 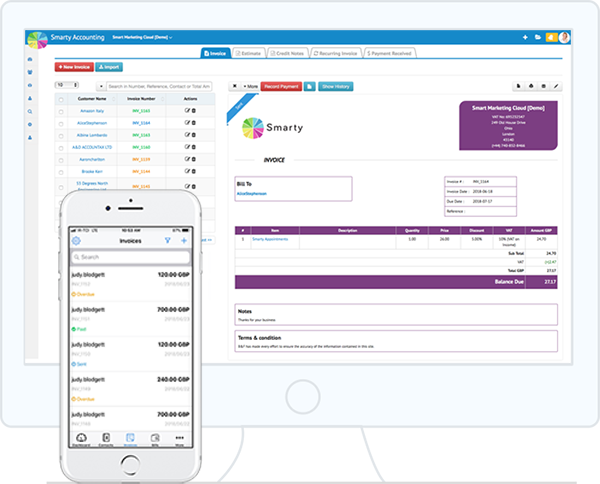 With Smarty accounting, you can not only generate invoices without any hassle; but also you can set up recurring payments for regular clients, as well as being able to automate the process of following up on any missed payments. This is not just about dealing with stragglers. It is about engaging with clients and ensuring that your organisation comes across as on-the-ball and responsive. So when an invoice is paid, you can issue a thank-you message right away. Be Smarty with your invoices; create, design, send and track invoices in a minute. 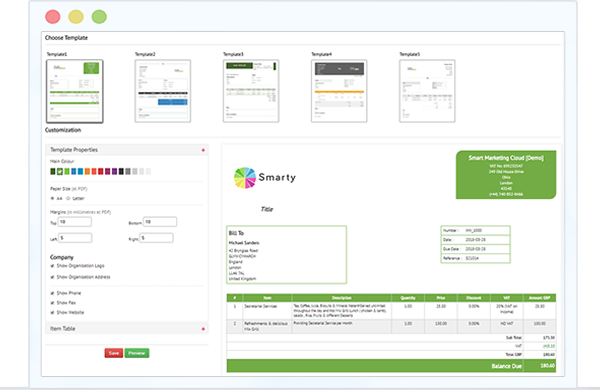 With Smarty Accounting, you can create unique invoices by customising colours and fonts and adding your own branding. With Smarty Accounting mobile app, you can easily send your invoices from wherever you are. Say goodbye to being stuck at the office or with your accountant! Doing business abroad or working with foreign clients? 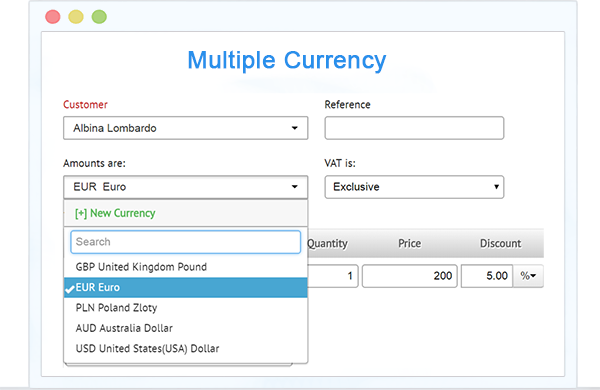 Smarty invoices can be sent out in 120 currencies with up to date conversion rates displayed live on your dashboard. 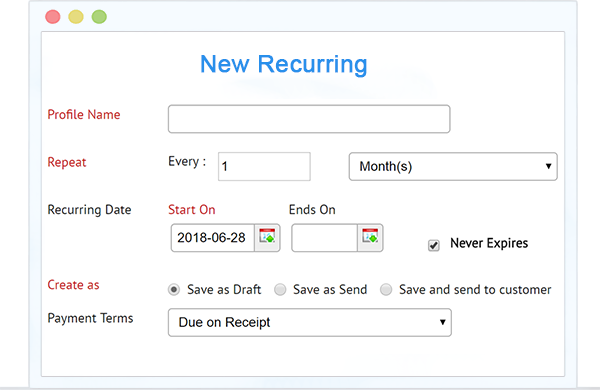 There are some laborious tasks that business owners need to do, but issuing recurring invoices need not be one of them. Automate the issuing of recurring invoices and be sure that you’re getting paid on time with the minimum hassle. Everyone forgets to make payments from time to time, but that shouldn’t come at your expense. 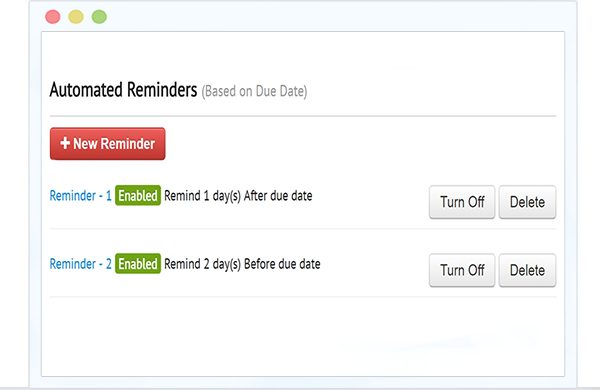 With Smarty Accounting you will be able you to issue polite reminders or set automatic reminders to each invoice if payments remain unpaid. One less thing to worry about! No need to work out how much tax should be added to each invoice. 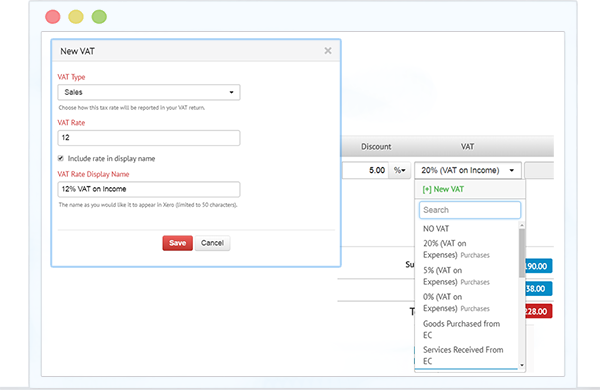 Smarty Accounting will automatically calculate and add taxation to each invoice based on the information you have given us about your business. What’s more, this information will be neatly formatted so that it is easy for all recipients to understand.